I remember visiting Hay-on-Wye as a child and being entranced by this place built, it seemed, entirely on, around and with books. Yet I’ve never yet made it to any of the much lauded Hay Festivals (have you noticed how they’ve spread throughout the world? Good to know that the love of the written word is so contagious). The festival runs from 24th May – 3rd June. The events are too many to list here, but include the Hay on Earth Forum, music from the likes of singer-songwriter Jake Bugg, and features Sarah Corbett speaking on the powers of Craftivism. The festival retains a healthy literature section, with introductions from exciting Latin American writers, conversations with recipients of the Man Booker prize, Icelandic Literature Prize and others, plus numerous readings from rising literary stars. Roddy Doyle will offer his insights and humour, Simon Mayo will discuss his debut novel, and Margaret Atwood will talk about a new generation discovering The Handmaid’s Tale. 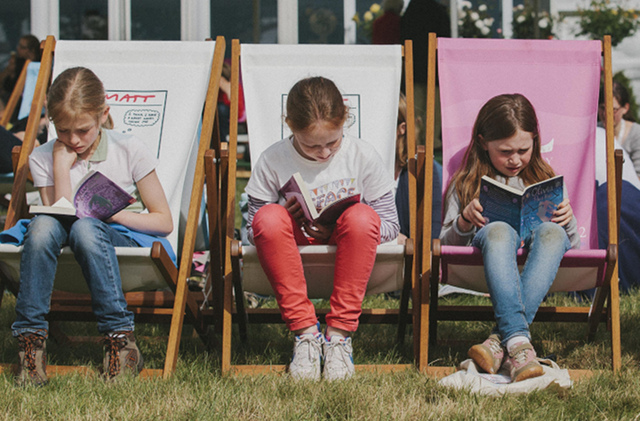 Get your tickets from www.hayfestival.com. And if you’re lucky enough to attend any of the events, please let me know! I’d love to publish your festival review on SkyLightRain.com. Just email me at judydarley(at)iCloud.com. This entry was posted in Travel and tagged Hay Festival, Hay on Wye, literary festivals by Judy. Bookmark the permalink.